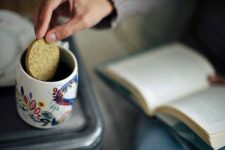 Recently, I wrote an article that gives brief descriptions of the various types of tea and their relative health benefits. My next goal is to delve deeply into each of the best varieties and go over some of the more popular types of each. Today, I’m taking a closer look into the world of black tea. It’s actually pretty interesting stuff, and I hope you’ll enjoy it as much as I do. In China, it is generally believed that 5,000 years ago, a (mythical?) ruler, Emperor Shen Nung, accidentally discovered tea when a leaf from the Camellia sinensis plant fell into his cup of hot water. Originally the leaves were brewed only in their fresh or dried “green” state. 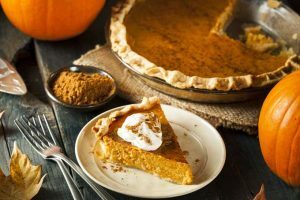 Over time, this tasty extraction grew in popularity. And as production increased, the Chinese discovered that through a process called fermentation, the leaves are oxidized and the flavor of the resulting brew deepens. 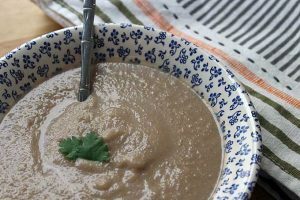 The longer the leaves ferment, the darker in color they become. The varieties collectively known as black have been fermented for the longest amount of time, and their leaves turn almost black, hence the name. 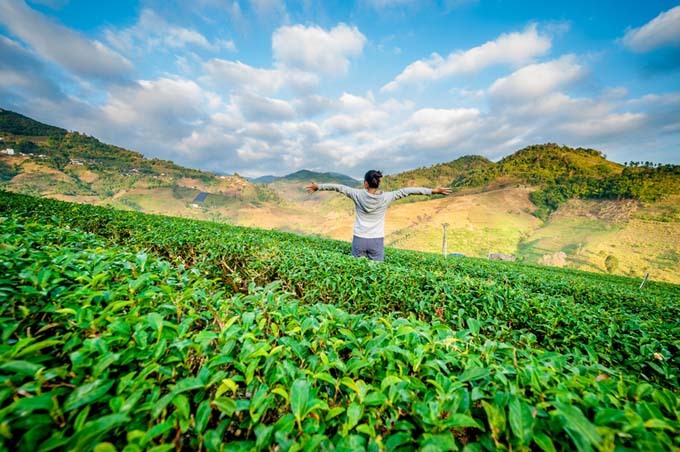 In an effort to break China’s monopoly on the tea trade, the East India Company began growing tea in India in the 1800s, and this production is still a big part of India’s economy. Chinese and Indian teas are the most popular and well-known worldwide. Of course, other countries are big producers as well. 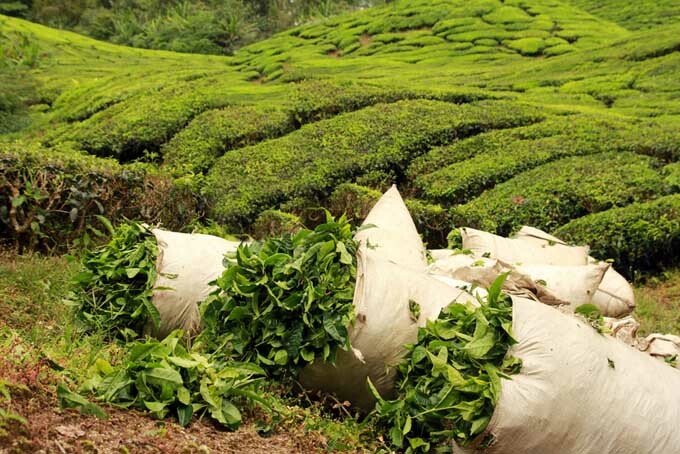 But as most tea-producing countries are also big tea-drinking countries, export is not essential, and thus those products are not as well-known in other countries. A tea plantation in China (PRC) today. Obviously, there are many, many other black variations, cultivars, and blends than the ones I am going to cover here. But I believe those that I’ve selected are the most popular, ones that even non-drinkers will recognize. Since China started this whole business, I think it’s only fitting to start with a Chinese black tea. Keemun is one of the most well-known black varieties to come from China, and for good reason. For a black, it is relatively light with both a fruity and a slightly smoky aroma. It has a mild, almost malty flavor that’s reminiscent of unsweetened cocoa. Keemun grown on terraces in the Haungshan region of China. Some varieties of Keemun even have a smell similar to orchids, and somewhat floral flavor notes. It is very smooth and mellow, low in tannins and thus not very bitter at all, as some of the other black selections can be. This varietal is produced exclusively in the Qimen county of Huangshan City in the Anhui province of China. 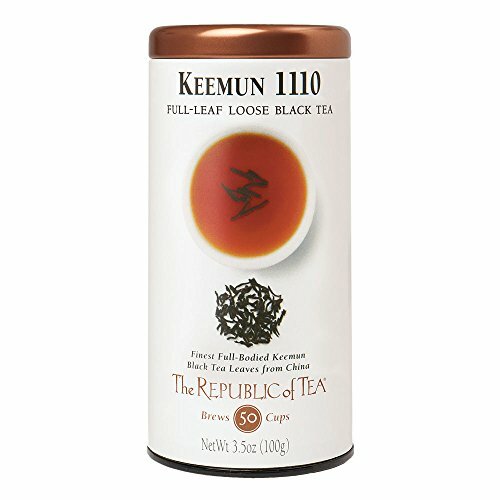 We suggest starting out with The Republic of Tea’s loose leaf keemun, pictured above. It’s available in 2.8 or 3.5-ounce sizes, and it was a winner in the North American Tea Championship Keemun Tea category. Available on Amazon. 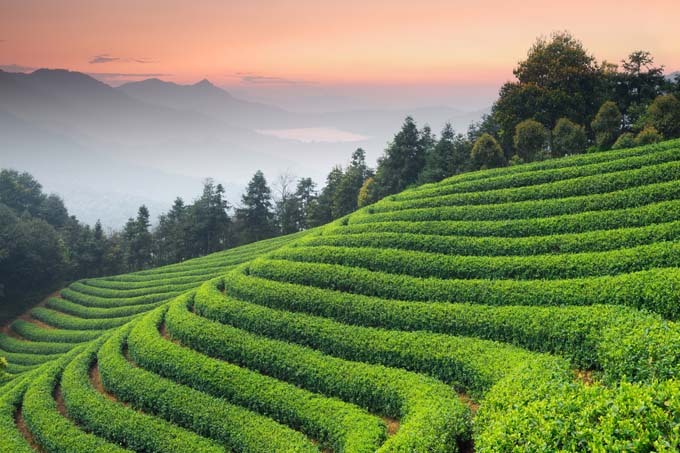 The Assam region in India was the first area in the country to be used for tea production by the British, having its own indigenous Camellia sinensis plant – the assamica. Other than China, this is the only place in the world where the shrub grows naturally. 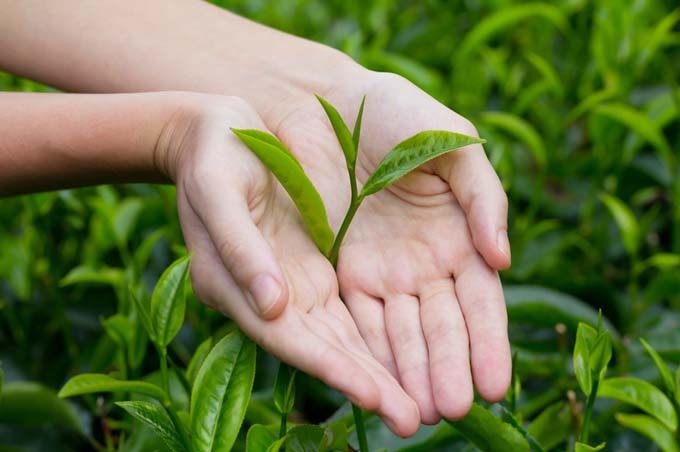 Any variety or cultivar to come out of the area is given the designation of an Assam. Grown at or near sea level, these types are known for their strong flavor and dark color. The terraced hillsides of Assam, India. 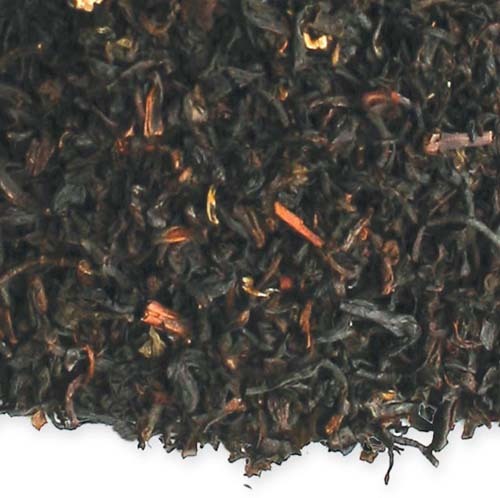 Assam is well known for its deep, malty flavor. Because of the pleasing taste, Assam is used a lot in blends where multiple teas, and sometimes herbs or spices, are mixed together to form a unique beverage. Most popular as a black tea, Assam is also available in white or green versions. 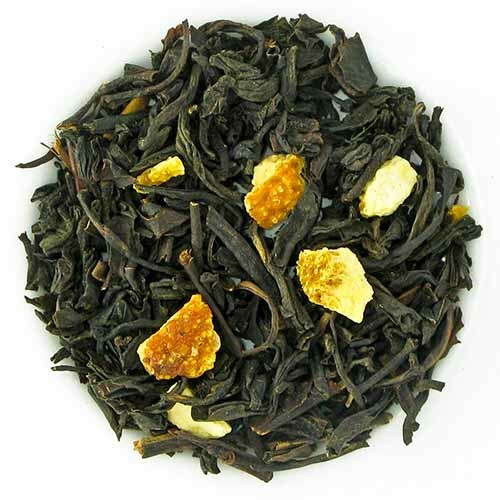 We recommend Positively Tea’s Organic Assam TGFOP. Wondering what TGFOP means? The acronym actually derives from the early days of the Dutch tea traders, and portions of the original meaning are somewhat unclear. The term Pekoe signifies mostly intact and unbroken leaves that can also have a small amount of tea buds included in the mix. The Orange portion probably refers to the House of Orange, or Holland’s royal family. Then as well as now, Orange corresponds with the best quality. Tippy Golden Flowery refers to the lighter colored ends of the leaves. 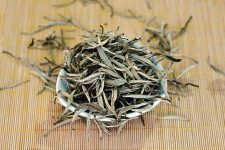 Bottom Line: the tea structure is really good and this specification refers to the appearance of the cured leaves – not necessarily how they taste. Clear as mud? The second-earliest British production area in India after Assam is in the Darjeeling district of West Bengal. Tea planting began there in 1841, and by 1860 the Darjeeling Company was in full production with four separate estates functioning. This has become the quintessential British afternoon beverage. Located in a sliver of India that is located between Nepal and Bhutan, Darjeeling black tea is grown at high (and gorgeous) elevations. There are several different subcategories with this particular type, and each has its own characteristics. First flush varieties are harvested earliest in the year, and the resulting drink is the lightest in color and mildest in flavor. In between varieties are harvested between the first and second flush periods. Second flush is harvested in June and makes a more full-bodied beverage with musky and spicy undertones. Monsoon varieties are picked during the rainy season, and this is rarely exported, being used mostly to make masala spiced chai (more on this later). Finally, the autumnal flush is harvested each fall, after the rainy season is over. This the strongest Darjeeling you can find and will have the most tannins. Thus, it will be the most bitter of the available varieties. 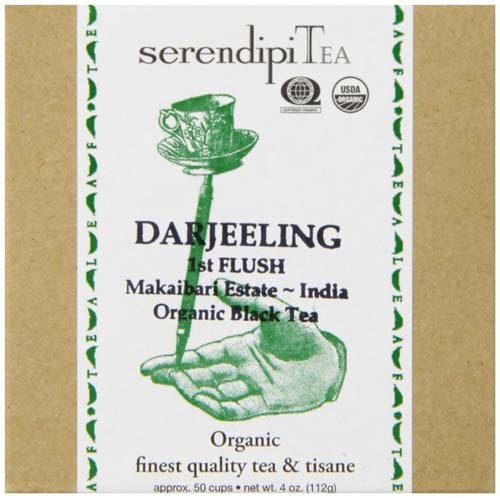 If you like a lighter taste where you can experience the various nuances and subtle flavor profiles, then we suggest SerendipiTea’s First Flush Organic Darjeeling. This one has a lot of natural sweetness and no trace of bitterness. 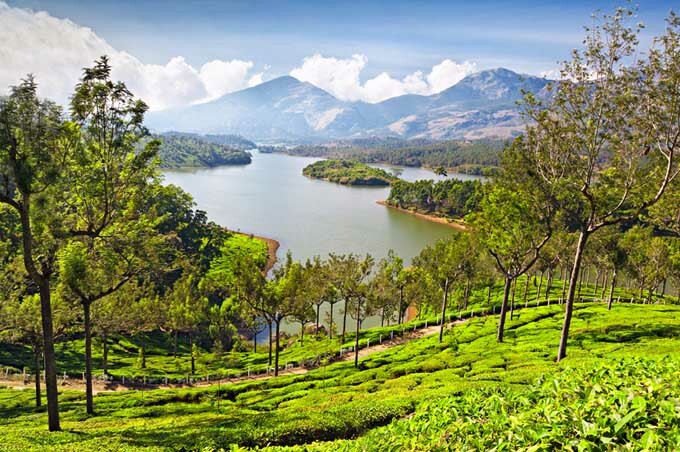 The British colony of Ceylon (what is now Sri Lanka) was used primarily for coffee production until 1869, when a fungus destroyed the majority of the coffee plants. Forced to diversify to avoid total financial ruin, the coffee estates turned to tea production. The Loolecondera Estate was the first to make the switch, hiring a Scotsman named James Taylor to oversee its production. Taylor had spent time in northern India and was familiar with the tea-making process. He manufactured the first batch of Ceylon tea on the front porch of his own bungalow, with the leaves being rolled by hand on big tables. At first only sold locally, by 1873, Taylor’s tea was being sold in London. And it only grew in popularity. Bolder and darker than Darjeeling, but lighter in both color and flavor than Assam, Ceylon is a nice middle-of-the-road choice. It’s grown at three different altitudes. 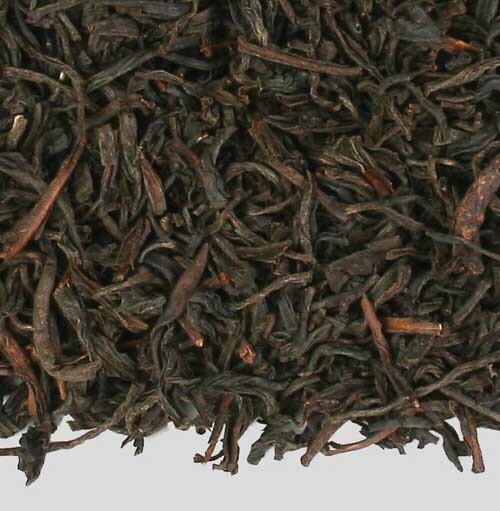 High-grown Ceylon is considered the best quality, with the best flavor. 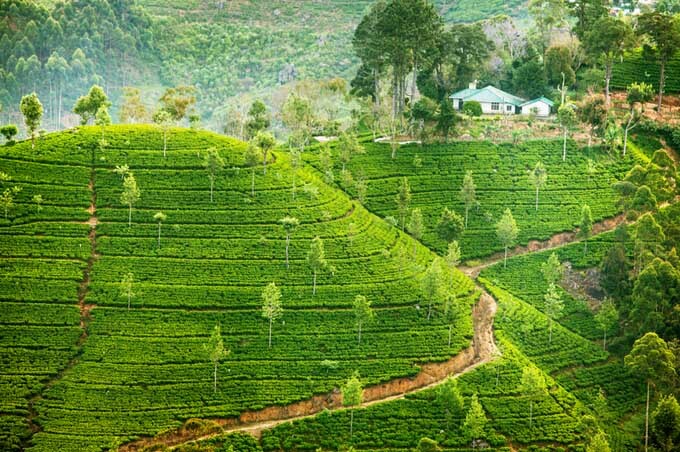 Mid-grown leaves yield an average cup, and low-grown Ceylon is thought to be a “common” beverage. Ceylon grown at higher elevations makes for a top notch (pun intended) brew. With the different elevations, the resulting brews will vary in flavor. But in general, all Ceylons have a golden color with only mild astringent notes from tannins. Most usually have a citrus flavor, though some will have more spice notes. 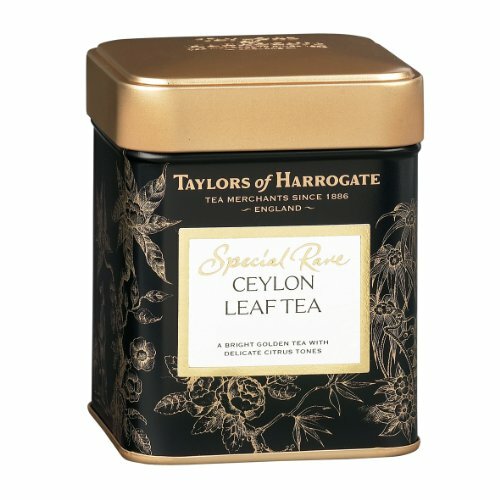 Ceylon is great with a twist of lemon! Besides the aforementioned Taylors’, you can never go wrong with Davidson’s. And their pricing is really quite reasonable. We suggest checking out their 16-oz bag of Ceylon Orange Pekoe Black. It may surprise some of you, as it did me, to learn that the third largest exporter behind China and India is Kenya. 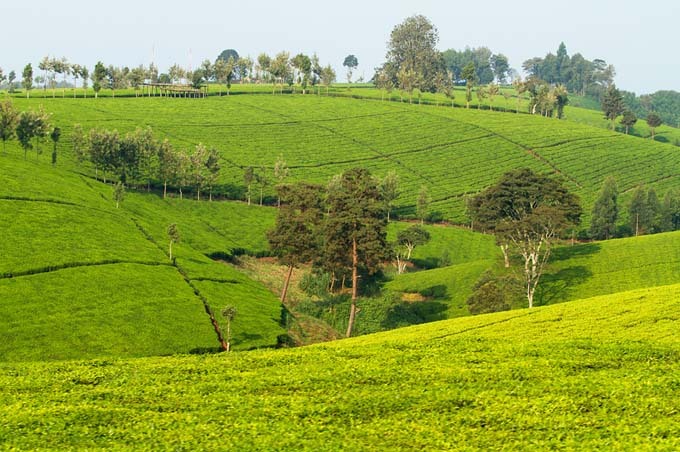 Introduced to the country in 1903, Kenya is a baby in the tea-production business. But it’s the number one export in the country. Additionally, it’s nice to know that the vast majority of the growing and fermentation is performed on small family-owned holdings that aren’t managed by huge corporations, and these farmers are the best paid in the world. The plants grown in Kenya are of the Assamica variety, which is what grows in India. The Kenyan variety actually produces a reddish brew, instead of being golden or a darker brown. The beverage is strong and bold, but without the bitterness of the other strong brews. It’s surprisingly difficult to track down a pure Kenyan – either single estate or in a blend. 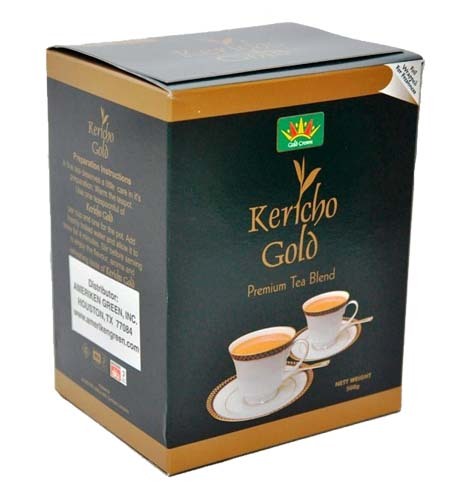 We finally settled on the KenyaKericho Gold Premium due to the stellar reviews on Amazon.com and ordered a box. I’m going to go out on a limb and say that this black tea blend is the most well-known. Originally marketed solely by Twinings of London, Earl Grey isn’t its own black variety, but rather a flavored one. The black base used can be anything from Ceylon to Kenyan to Assam, or even a combination of any number of varieties. This is then mixed with oil from the rind (and in some cases actual bits of the rind) from the bergamot fruit. Grown primarily in Calabria, Italy, this fruit looks like an oversized lime, and tastes like an orange mixed with a lemon, with a hint of grapefruit thrown in for good measure. Earl Grey is still the most common choice in both the UK and North America – And yes, this is a corny photo but it begged to be included! 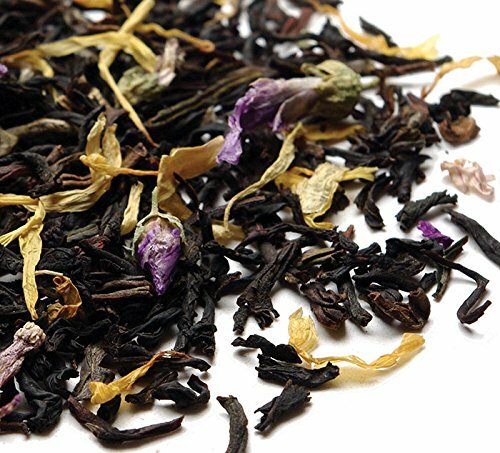 There are many theories as to how this flavored black tea came to be, but perhaps the most accepted answer is that in the 1830s, a Chinese mandarin prepared it specifically to offset the flavor of lime (not the fruit, but the mineral deposit) in the water used at Charles Grey’s family seat in Northumberland. Charles was the second Earl Grey, and British Prime Minister at the time. 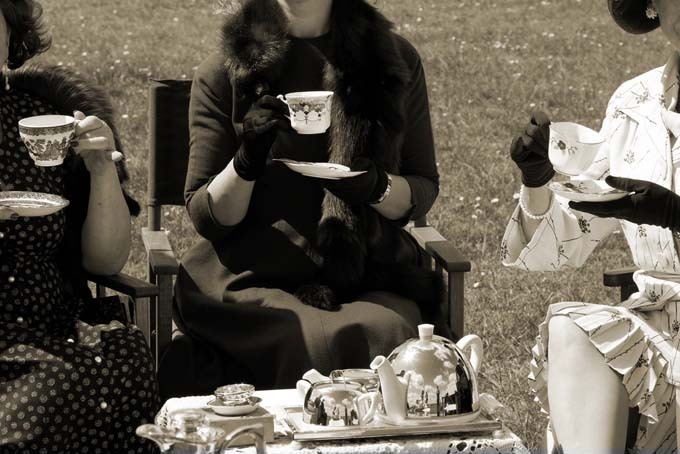 Lady Grey then began to serve it in London in her role as a political hostess, and everyone loved the flavor. It became so popular that Lady Grey began inquiries as to how it might be sold. Thus, Twinings of London began marketing it for her. Once again, we return to Davidson’s USDA certified Organic and Fair Trade product. You can get a pound of this very affordably on Amazon. However, there are some caveats. If you’re set in your ways as to how this particular blend should taste, then this one may not be right for you. It has a much more bergamot flavoring added than a tin of the more traditional Twinings and thus can have more of citrusy, lemony taste – or even more of bitter taste if you get the brewing technique wrong. This most popular of British teas then inspired the spin-off product, Lady Grey – my own personal favorite. Lady Grey takes the Earl Grey blend and adds to it the flavor of either Seville oranges or lavender. I’ve had both, and they are both lovely. Another popular drink based on this variety is the London Fog – Earl Grey served with steamed milk and a little vanilla syrup. Check out our recipe for homemade syrup and learn a little more about vanilla here. We suggest this lavender blend by Tea Attic. It’s also organic, blended with fresh components prior to shipment. 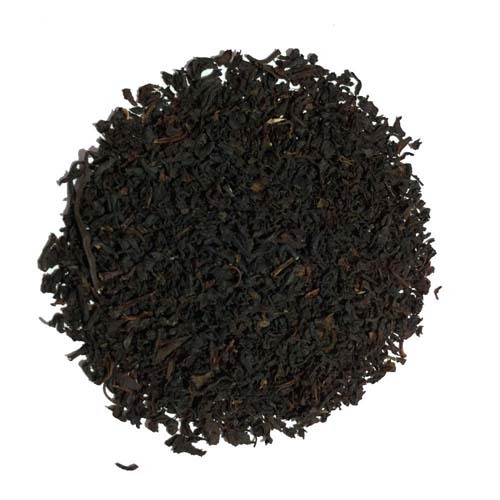 This blended product is typically a mix of Assam, Ceylon, and Kenyan, though you may occasionally find one with the addition of Keemun. The combination of these results in a drink that is rich and full-bodied, robust enough that it is served most of the time with milk. The blending of a variety of black teas to be served as a stout morning brew was in fact a longstanding British tradition well before it became known as English Breakfast. Positively Tea’s blend is a milder brew than most English breakfast varieties, which also means it’s free of any bitterness. Moreover, it’s organic, so there are no pesticides leaching into your extraction. 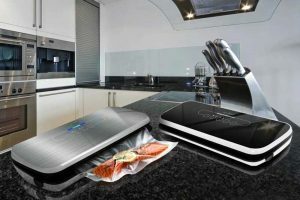 Verified purchasers review this product well on Amazon.com. 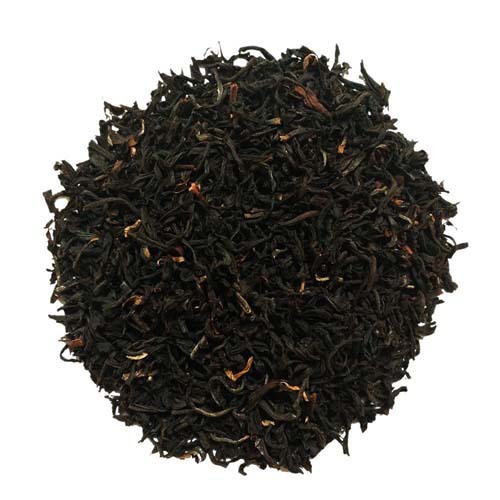 Another popular blend style, this one is usually either a mix of different Assam varieties or a combination of Assam, Ceylon, and others, but still heavily weighted toward Assam. The resulting beverage is even more robust than the English version, and of course it is also typically served with milk. It’s not usually our style to keep recommending products from one company, but you can’t beat the price and taste of Positively Tea’s organic Irish Breakfast offering. Rather than spreading the link love around to different importers/distributors, we want you to purchase the best with your hard-earned dollars, and this is it. 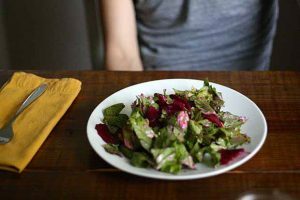 And we like organic – particularly in a food product that is designed to be extracted and seeped. I told you I’d get back to this later. 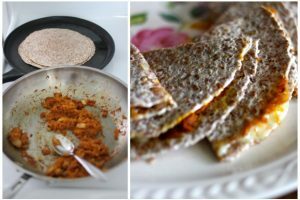 If you’ve never had spiced chai, trust me, you need this in your life. Few things are more soothing to me than a masala spiced chai latte. It is one of my all-time favorite comfort drinks. 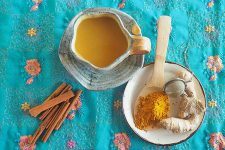 Spiced chai is, of course, a traditional Indian drink that has been popular for hundreds of years. It’s a combination of a black extraction (customarily Assam, as that’s the type that grows in India indigenously), spices, milk, and sugar. 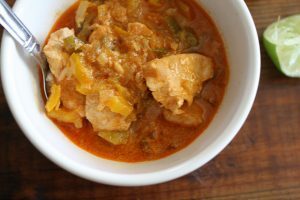 The spice blend (known as karha) typically consists of a combination of warming spices like cardamom, cinnamon, cloves, ginger, black peppercorn, and sometimes star anise. Another reason for using Assam as the tea of choice is so as not to have the end product become overpowered by the strong flavors of these spices. 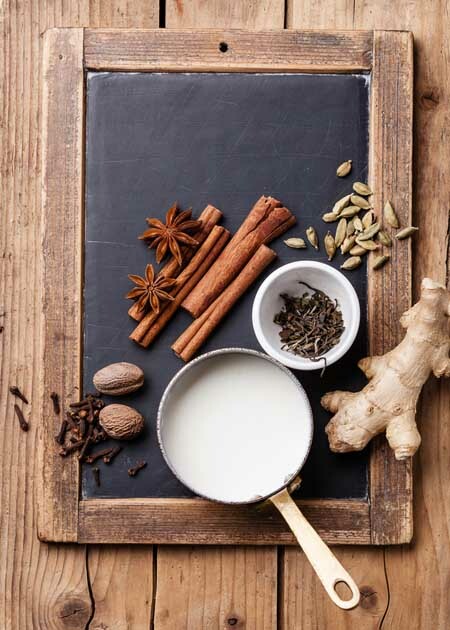 To make the spiced chai drink, you combine half a cup of water with half a cup of milk and bring it to a boil along with the spices and 1 tablespoon of sugar. 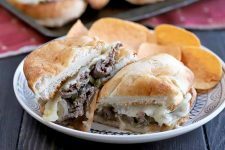 Alternatively, you could use sweetened condensed milk and skip the sugar. 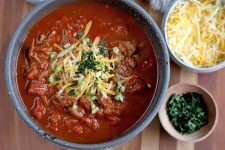 Try making your own at home, with our recipe. Once the mixture is boiling, add one teaspoon of loose leaf Assam, remove the mixture from the heat, and let it steep for 10 minutes. Pour the chai solution through a strainer to remove all of the whole spices, and serve. Yummy! Spiced chai blends are also available as loose leaf blends if you don’t want to go through the trouble of sourcing all of the ingredients. 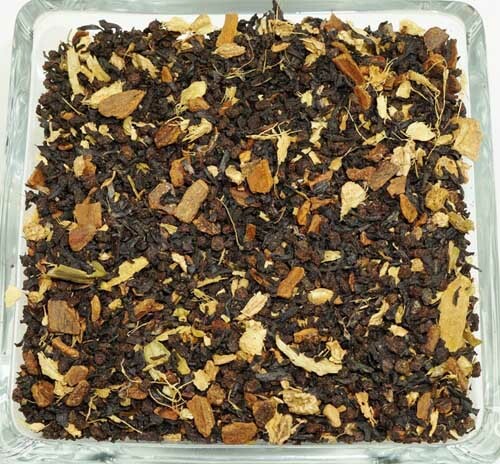 LoveTea’s Loose Leaf Masala Chai Blend. This one includes Assam, ginger root, cinnamon, green cardamon, and vanilla in one convenient mixture. 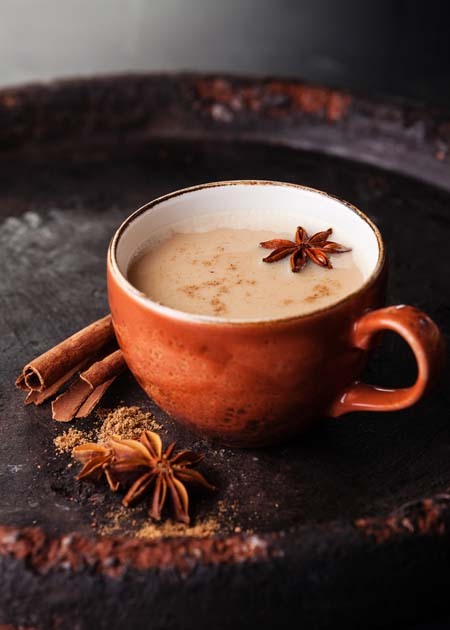 Of course, in the US, masala or spiced chai is also commonly found in a concentrated liquid form consisting of the tea, sweetener, and spices, which is then added to steamed milk. This is probably what you’ll get if you order a chai latte at a Starbucks or other coffee shop. To get the real thing out on the town, try your local Indian restaurant. Grocery stores take this one step further, and you can now find pre-made cartons of chai available in shelf-stable form and ready to pour into a mug, heat, and enjoy in both dairy and dairy-free versions. Either way, it’s still a delicious drink! Besides the Lady and the Earl, there are many more options out there. 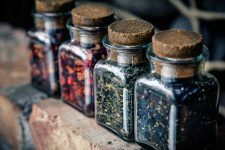 These blends could be made with any of the black varieties and then mixed with actual flower petals, essential oils, bits of dried fruit, or fruit rind. All of these are so delicious. 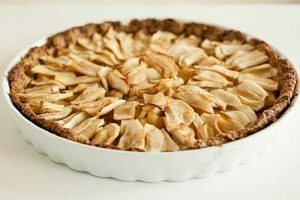 Some of the most popular flavors are peach, blackberry, vanilla almond, rose, and jasmine. 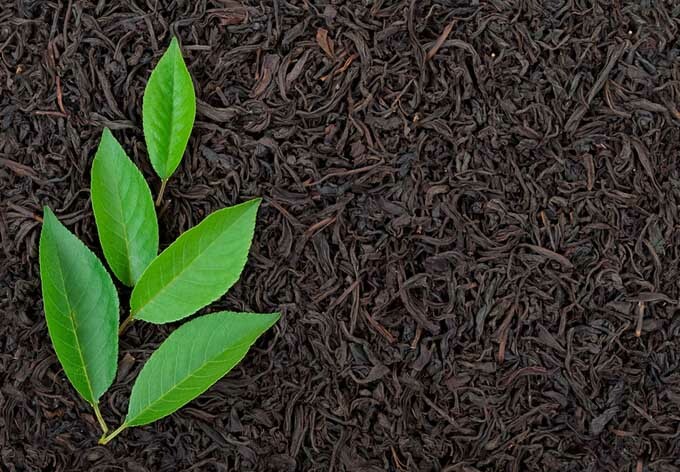 Though jasmine is more commonly blended with green tea, jasmine black is also wonderful. I actually have never met a flavored black brew that I didn’t love. We suggest starting with Prince Vladimir from Kusmi Tea. This blend of Earl Grey, lemon, grapefruit, vanilla, and other spices is a comforting blend that was originally created in 1888 to honor Vladimir the Great. There are plenty of great options out there that I haven’t covered here, but you can only store so many at any given time… unless you keep on buying new containers! Hopefully I’ve given you a good place to start. Want to know more? 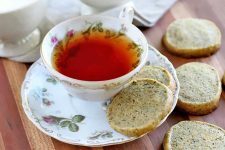 Read all of Foodal’s Tea Guides and Reviews. Happy drinking! Photo credits: Shutterstock and var. manufacturers. A tea plantation looks interesting. I was looking at the picture and didn’t even know there was plantations. This is very interesting to read and good to know! And I think you are right Earl Grey is pretty popular. I am hoping to start drinking more tear this year. Ashley, I have really enjoyed your articles about tea – it’s my favorite drink and there are so many varieties to choose from. I especially enjoy the teas from Taylor’s and Twinings and would recommend them to anyone. I love this history of black teas. There is so much I didn’t know. I am beginning to understand about the fermentation now. I love that you presented three regions where it is produced. 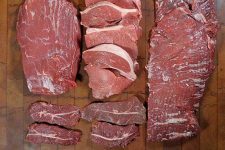 All the varieties take on the nuisances of the areas they where grown, and it helps to understand how you get so many variations in flavor. I honestly had no idea tea was being produced in Kenya. I honestly thought that earl grey was a simple black. I definitely did not know chai was even related to black tea. I thank you for the chai recipe. As a cook, I like to know how to put it together myself. I can just feel your passion and the time and energy you put into this, and every post. Thanks so much for sharing. As a Brit, I’m a pretty heavy tea drinker. English breakfast tea is the most popular beverage of choice around these parts, and is what I generally have sitting by the kettle. but I do like to branch out every now and again, and I’ve enjoyed Earl Grey, Lady Grey, Ceylon and Chai from time to time. But, you’ve solved a long-standing puzzle for me – I’ve never dared try a tea labelled Orange Pokoe, because I wasn’t convinced that I would enjoy an orange flavoured tea. Now that I know it’s to do with the original Dutch traders and not the flavour, I won’t be scared of it next time I find it on a menu! 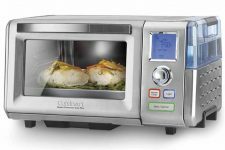 Oooh how I envy your 220 volt current and fast kettles. I’d never even seen an electric kettle until my first trip to Afghanistan and was introduced to them by UK Army Officers. Side note: my boss was Sand Hurst graduate and spoke impeccable “Queens English” (posh?) until he got very upset – and then out popped and unintelligible Scottish brogue. Honestly, I never appreciated the brilliance of black tea until I went on a holiday to Turkey. Being part of the “hip” crowd, latte was my mana and it baffled me to see people enjoying black tea. Boy, what an ignorant person I was! Since returning my travels I have paid attention buying authentic and more natural types of tea leaves. Frankly, teabags from supermarkets does not do any justice to Ceylon tea I buy from ethnic shops around where I live. As my journey as tea enthusiast is a new one I am unfamiliar with most of the tea types you mentioned here (I have to say masala spiced chai sound utterly delicious). This is a great post and useful tea 101 for people like me! I didn’t used to drink a lot of tea, but as I wean myself off soda I’ve found that I need a caffeine replacement, and coffee isn’t always the best choice in the middle of the day or late at night! I typically drink flavored black teas, because I’m a big ol’ wuss who doesn’t like bitterness, but I recently started drinking RED tea more often! It’s called rooibos, I believe, and it’s a sort of South African variety made from (you guessed it) the Rooibos plant. The kind I get comes flavored with vanilla, and it’s so good! Plus, the color is super pretty. 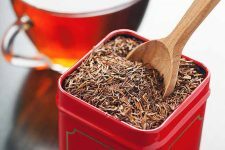 Have you ever heard of rooibos before? I also drink chai, but usually only at night. I consider it more of a “dessert” than a hot beverage! 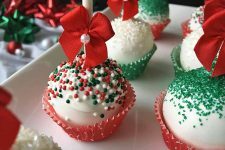 And if you make it right, it sort of tastes like Christmas smells! Yum! What a fantastic post! I loved reading the history/background of all these teas. I used to work in a specialist cafe and still did not know half of this information! Just reading the way you described some of these varieties is making me lick my lips and decide to nose out some of these teas. I see you’ve also stayed clear of the very controversial topic of adding milk to some of these. 🙂 It’s generally accepted that you shouldn’t add milk to green teas, then do whatever you want with the black ones. Dan Brown in the ‘Da Vinci Code’ said you should add lemon and not milk to Earl Grey, but I like a strong Earl Grey with a touch of milk and a tiny bit of sweetener. Generally though, I think so long as you’re not drowning out the flavor, there’s nothing wrong with adding a little bit of milk. Black tea is great all around, but most especially after eating greasy chinese food. Some people might find black tea blends a little too strong because they do carry quite a bit more caffeine than the green tea variety. When eating dimsum, I always take a cup before my first bite, and I continue to drink throughout the whole meal. What an amazingly in-depth article! Thank you for sharing all of this knowledge! Not once would I have considered on my own how black tea got its name and how it is formed/created/cured. I always kind of assumed that it was just from plants that happened to turn the water a darker color when brewed. Silly me! Chai tea is absolutely my favorite. I also enjoy Masala spiced chai lattes. 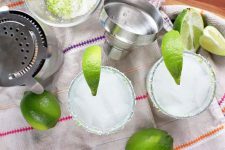 The amazing flavors that swirl in one sip are just one great attribute but really the many amazing health benefits are what make it such a powerful thing to consume. Soothing, delectable flavor + extremely healthy = clear winner! The orthodox tea blends are full naturally fermented leaf black teas although not puerh which is post fermented. The CTC bagged black tea is giving the fannings and dust. This is what most breakfast blends and pekoes in the supermarket probably are.